Centrally located in Reykjavik, Hallgrimskirkja is an easily recognizable architectural icon that can be seen from just about everywhere in town and is the largest church in Iceland. 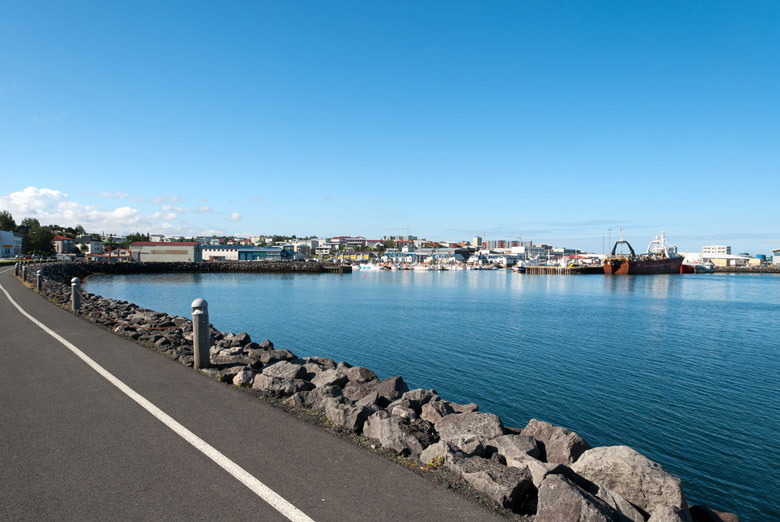 It’s recommended that it’s your first thing to do in Reykjavik. 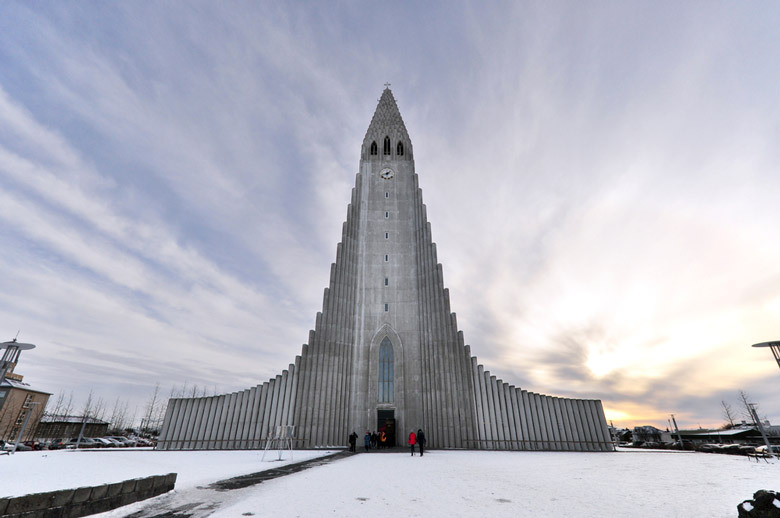 Commissioned in 1937 this Lutheran church was designed to resemble the basalt lava flows found throughout the country. Construction started in 1945 and was completed in 1986. There is an astoundingly enormous pipe organ that was added in 1992 and weighs almost 25 tons. The oldest part of this Reykjavik attraction is the statue of the famous explorer Leifur Eriksson located in front on the building. It was gifted to Iceland by the United States in 1930 to commemorate 1,000th anniversary of Iceland’s parliament. The church also offers one of the best views of the city from its observation deck. It can get windy up there so hold on to your hat! Tickets to take the elevator to the viewing platform can be purchased in the gift shop. Mass is held in the church Sunday and Wednesday mornings and Communion is held the last Sunday of the month. Those attending service will get to hear that impressive pipe organ played, or there are recordings available for purchase at the gift shop. 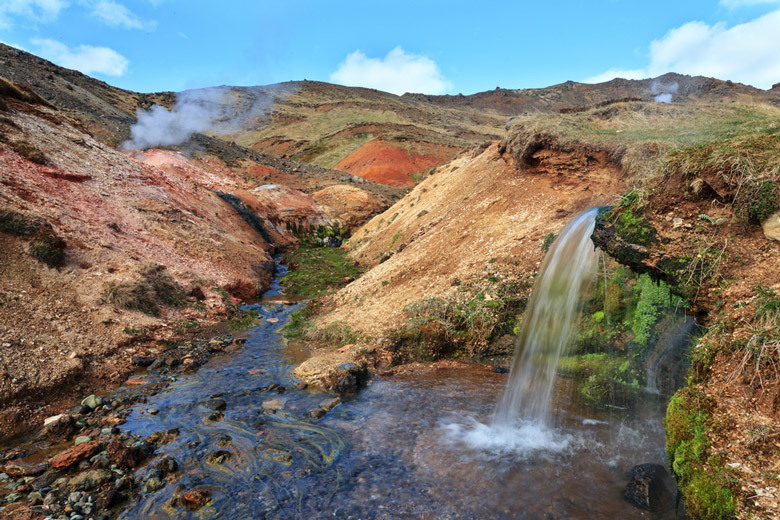 Reykjavik’s attractions tend to involve geothermal heated hot springs and geysers. They’re wonderful but what if you’d like to try swimming in the sea? Well although swimming in the cold waters surrounding Iceland is a tradition, it’s normally only attempted by the very sturdy and brave but here at Nautholsvik Geothermal Beach, you can have both heated water and swim in the ocean. By diverting run-off water from geothermal heated hot water tanks to a man-made lagoon (thanks to a recently built sea wall) the water is not too hot or cold. For the beach, golden sand was brought over from Morocco providing visitors with a nice spot to sun bathe. Add changing rooms with hot showers and a snack stand, and you’ve got an Icelandic paradise. But if hot temperatures are preferred, a hot tub with naturally heated water and sauna is just steps away. And just for the kids and just in June and July, the nearby city operated sailing club offers boating workshops. If your visit is in the winter, be aware that the facilities are only open limited afternoon hours but they do serve hot drinks. 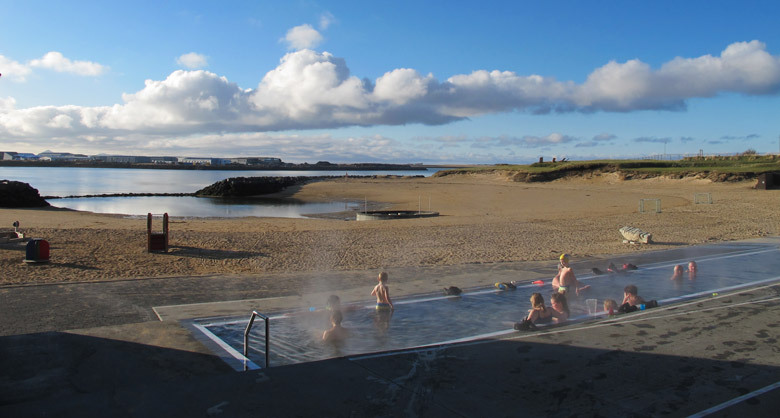 One of the attractions in Reykjavik that people come from all over of the world to enjoy is the natural hot springs. At Laugardalur Park this accounts for the large outdoor pool that you can swim in year round. The ladies of Reykjavik did their laundry in these hot springs until the 1930s. At the north entrance to the park, a leftover brick wash bin serves as evidence of a time gone by. It’s behind protective bars to keep anyone from falling in. There’s also a statue of a washer woman and outdoor exhibition explaining the chore. If you prefer strolling over swimming, there’s a lovely botanical garden that has a charming café hidden among a grove of trees. The garden has over 5,000 plant species with labels in English. The small zoo here is open all year round and features animals of Iceland like foxes, reindeer, seals and farm animals, and in the summer the playground here has play equipment and rides for all ages. There’s art to be admired at Reykjavík Art Museum’s Ásmundarsafn sculpture collection which is housed in the artist’s one time studio. As a year round park there’s an ice skating rink, of course. All of this makes Laugardalur Park a very popular thing to do in Reykjavik. It may take a ferry to get to this Reykjavik attraction but Videy Island is well worth it. Besides, it’s not much more than a five minute ride. When you arrive at the ferry terminal, which more resembles a tiny house, be sure to pick up the map which has a lot of information for visitors. The entire island can be walked around in just a couple of hours. If the day is nice, pick up an impromptu picnic before heading over to the island. 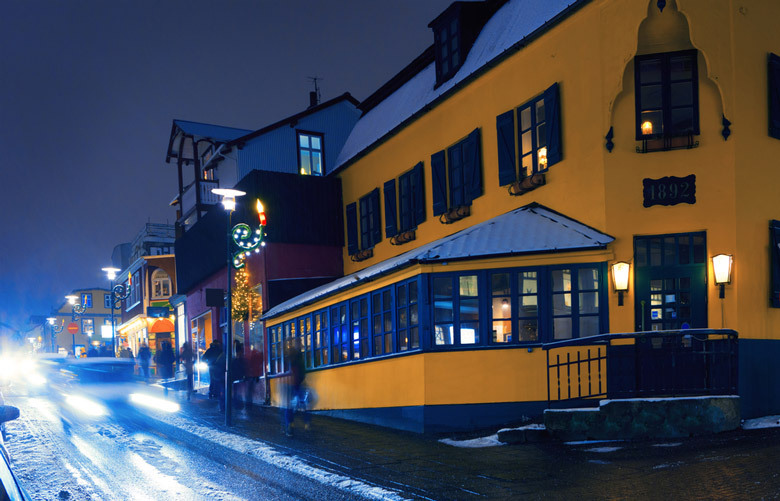 If the weather is dreary or eating outside isn’t one of your preferred things to do in Reykjavik, stop at Videyjarstofa House, the oldest stone house in the country, for a bite from their café. There’s also horseback riding, hiking trails, Puffin birds and large piece of art by Yoko Ono called the “Imagine Peace Tower”. At the base of the piece is a wishing well with ‘imagine peace” written in 24 different languages. Each year, starting on John Lennon’s birthday (October 9) and each night until the anniversary of his death (December 8) a beam of light emits high into the sky. Other art installations on the island include Richard Serra’s “Standing Stones” and “Blind Pavillion” by Olafur Eliasson. Shopping is a part of traveling and if you’re wondering what to do in Reykjavik, the hip and interesting Laugavegur, the area’s oldest shopping street, is a must. The name is Icelandic for “wash road” because a long time ago, women would follow the road to the hot springs to take care of the laundry. Today this street is much more charming than any mall and is where you’ll find the town’s most exclusive stores, bars, nightclubs and restaurants. Here’s also where the unusual Icelandic Phallogical Museum is. Icelanders tend to be very proud of their creative heritage and some of their best work can be purchased here. Verslunin Vísir is a more than 100 year old grocery store and still does shopping the old fashioned way. Jurtaapótek Kolbrúnar Björnsdóttur sells herbal medicines, ointments and oils based on ancient Icelandic remedies. Unique jewelry can be found at one of the city’s oldest stores, Jón Sigmundsson Skartgripaverslun. It’s been run by the same family since 1904. At Reykjavíkur they’ve been selling hats to ladies for a very long time. Icelandic wool yarn is famous throughout the world and at Nálin Hannyrdaverslun they sell the yarn and tools of the national knitting hobby. The Arbaer Open Air Museum is an aptly named Reykjavik attraction. 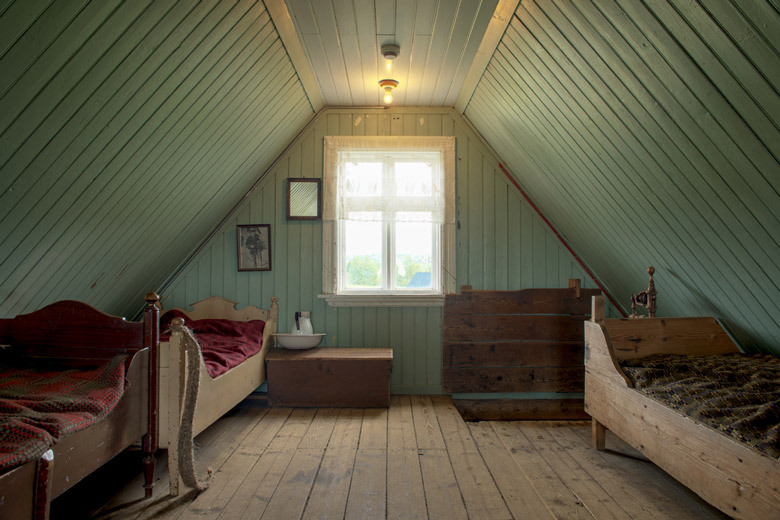 This interactive museum gives visitors the chance to see and learn just how Icelanders used to live. The museum is comprised of 20 homes, each its own exhibit. Founded in 1957, the museum tells how a few scattered farms became the nation’s capital. If visiting in the summer, the staff is in period dress and the farm animals are free to roam the grounds. There’s also arts and crafts demonstrations and traditional haymaking. The entire staff are also there to convey the times of town’s past. They don’t just mention Icelandic knitting; the bearded gentleman sitting in front of the tiny house that slept twelve family members is knitting a sock. And the staff will be tending livestock or playing a child’s game or just chatting. It if wasn’t for the sound of traffic from the road, visitors would surely feel transported in time. If visiting June through August, the museum has many open hours. However, if visiting in the other months, a guided tour is only offered once a day. Although the museum is located a little away from the center of town, it is easily accessible by bus. 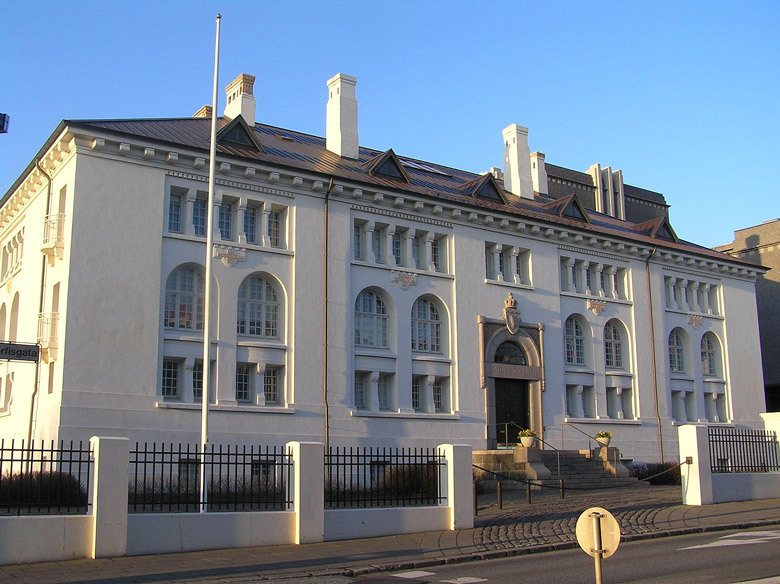 Originally established in 1863, the National Museum of Iceland was kept in attics around town – in the Cathedral, House of Corrections, Parliament, National Bank and the National Library – in 1950 the artifacts were given a permanent home. In Iceland, the law is that all archeological finds belong to the state and are to be handed over to the museum for safe keeping. May through September guided tours are given in English, or if you prefer a self-guided audio tour, they are available in adult and children’s versions. The museum is host to an array of temporary exhibitions but its permanent one, “Making a Nation” centers around the area’s history from the earliest settlement to present day. It begins with a medieval ship and ends at the airport. Though there are two thousand artifacts, some favorites include Viking graves, carvings of Thor, and a section on witchcraft. If you’re looking for things to do in Reykjavik with your family, there are two interactive rooms where the displays are meant to be touched and used. For visitors who want to understand the place they’re visiting, the National Museum of Iceland is an informative and interesting place to visit. Culture House is a museum for people who love museums. And when you’re looking for what to do in Reykjavik, you should be searching out a museum like Culture House. That’s because there are six different Icelandic cultural institutions under one roof. And that roof is atop a 1906 building originally used as the National Library which is now a well-loved local icon. Inside the building the skills of the architect and craftsmen are seen on every surface. There is oak furniture still in use that was designed by the building’s original caretaker. Visitors to the museum are not given too much background information on what they’re looking at. This is to allow you to think about the item and how it relates to the items around it, like a brain exercise routine. There are manuscripts from the 1300s, captivating photography and all manors of Icelandic historical items and art. However, there are never too many things around you as to be detracting and each item is chosen with a clear purpose and care. All this preciseness may create an image of a museum where children aren’t thought of but it’s exactly the opposite. There are sections for children to actively engage with the museum, as well as to color or play games. Set in a small town fifteen minutes south of Reykjavik, the Port of Hafnarfjordur has been used for trade since the 1300s. If you’re looking for things to do in Reykjavik that have a connection with the cultural folklore of elves and the hidden people, this is where you’ll see that unusual culture being embraced. But there’s a lot more to do here too, like golfing, horseback riding, museums, geothermal swimming and an annual Viking Festival. Hafnarfjordur (pop. 25,000) has three public pools filled with geothermal heated waters all kept at 26C (79F). The most family friendly one, Ásvallalaug, is also the largest thermal pool in Iceland. Here you’ll find a lap pool, four hot pots (hot tubs), a large shallow children’s pool, a slide, a sauna, a solarium, a gym, and a steam bath. Moments after you arrive in town, it will be obvious why it’s known as the Town in Lava. Jutting out of the ground in random spots are lava formations shaped by nature 7,000 years ago. They’re next to shops, around homes and in parks. This is because the town sits on a seven square mile lava field. After seeing Mother Nature’s sculptures, stop by International Sculpture Park at Vídistadatún for sixteen sculptures by artists from seven different countries. 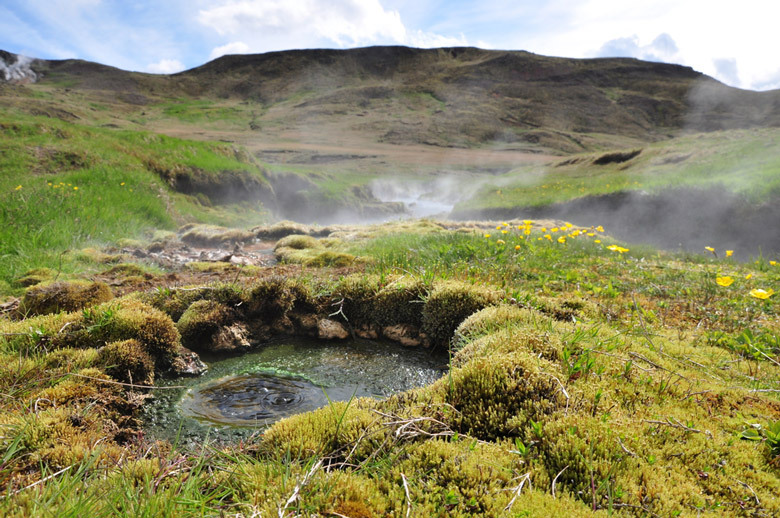 Iceland is a geothermal wonderland so it’s no surprise that the top thing to do in Reykjavik is a hot spring! You haven’t experienced Reykjavik if you don’t sit in at least one hot spring before you head home. 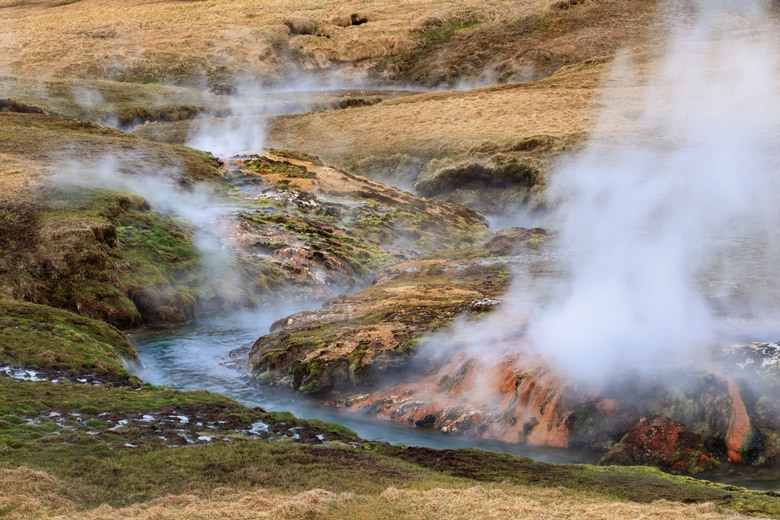 Just forty minutes out of town (near Hveragerdi) and a perfect day trip, is Reykjadalur Hot Springs or “Steam Valley”. This is a day trip that can be taken as part of an organized tour (including on horseback) or with the independence of a rental car. 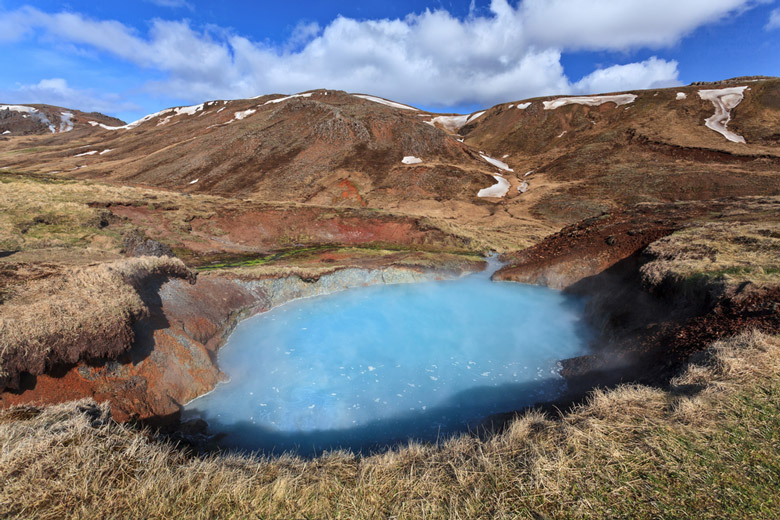 The 5.6 kilometer (3.5 mile) hike to the hot springs from the parking area is about an hour depending on the wind and your stamina but it is also rejuvenating, panoramic and just so very Icelandic. To make sure the hike is all that it could be here’s some tips: Be sure to bring your bathing suit but be aware there are no changing rooms. 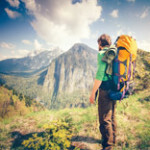 Hiking boots are recommended as the well maintained trail is rocky. The farther you are up river, the hotter the water. If it’s summer when you visit, consider bringing a fly net. And even though it should be obvious, bring water and snacks. The views here are astounding and around every corner so make it easy on yourself and keep your camera easily accessible.